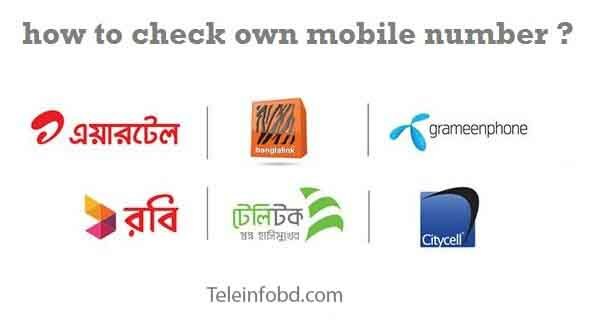 Grameenphone, Robi, Banglalink, Airtel, Teletalk, Citycell Own Number/Sim Number/My Sim Number Checking System. 1.How to check own Airtel number? 2.How to check own Banglalink number? 3.How to check own Citycell number? 4.How to check own Grameenphone number? 5.How to check own Robi number? 6.How to check own Teletalk number?